Want to be notified of new releases in contentstack/contentstack-reactnative-graphql-example? 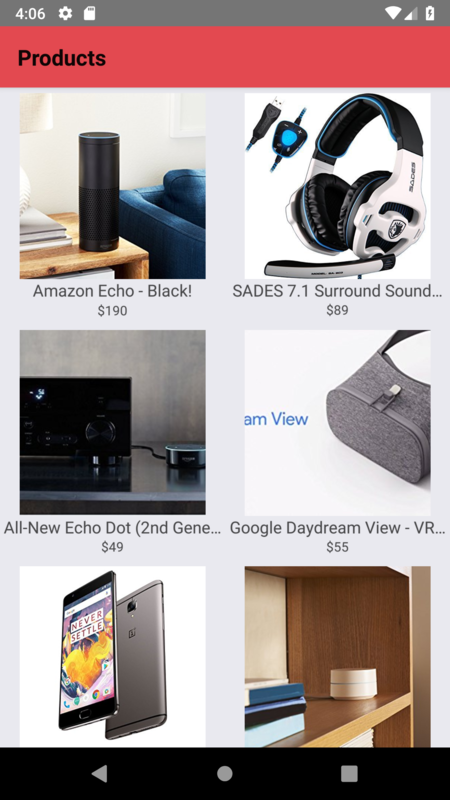 We have created a sample product catalog app that is built using Apollo Client SDK. The content of this app is powered by Contentstack GraphQL APIs, and the app uses Apollo client on the client side to consume GraphQL APIs. This document covers the steps to get this app up and running for you. Try out the app and play with it, before building bigger and better applications. Log in to your Contentstack account and create a new stack. Read more about stacks. Now that all the content types are ready, let’s add some content for your Product app. Create and publish entries for the 'Product' content type. Once you have downloaded the project, add your Contentstack API Key, Delivery Token, and Environment to the project during the SDK initialization step. (Learn how to find your Stack's API Key and Delivery Token. Using Apollo Boost you can easily configure Apollo Client with the recommended settings in your app. Let's create a React-Native application, and use Apollo Boost to include packages that are essential for building the Apollo app. To connect Apollo Client to React, you need to use the ApolloProvider component exported from react-apollo. The ApolloProvider component wraps your React app and places the client on the context, which allows you to access it from anywhere in your component tree. Contentstack provides a GraphQL playground, which is a GraphiQL interface, to test your GraphQL queries in your browser. Use this interface to write and test your queries. Note: If you have pieces of data you may want to reuse in multiple places, make use of fragments. Refer the Using fragments doc for more details. Once you have set up ApolloProvider while connecting your client to React, you can start requesting data using Query, which is a React component exported from react-apollo. Create the FETCH_ALL_PRODUCT component in index.js, add the following code snippet, and run it to see the Query component in action!